The form of Christianity which had the widest geographic spread in this period was the one which is usually given the name Nestorian. To be sure, it did not win the official adherence of any important stale and with the possible exception of a few tribes in Central Asia and perhaps an occasional section and city of the Tigris-Euphrates Valley was never more than the faith of a minority. Yet it had some important effects and its course is of great interest. Nestorianism owed its prominence to the fact that it constituted the major church in the realms of the Persian monarchs and then of the Abbasid Caliphs. We have seen something of the early history of Christianity in the Persian realms, of its persecution, of the introduction of doctrines associated, perhaps mistakenly, with the name of Nestorius, and of the fashion in which separation from the Catholic Church occurred and a distinct organization was set up with its Patriarch or Catholicos, at the Persian capital, Seleucia-Ctesiphon. In their structure and customs the Nestorians were very similar to the other Eastern Churches and seem not to have stressed in their teaching the differences in their be liefs about the relation of the human and divine in Christ. They had monasteries and in the period with which we are here concerned they insisted that the bishops and Catholicos must be unmarried. They had the Eucharist. They had images of Christ and of the saints and held in reverence the relics of martyrs and other outstanding Christians. The coming of the Arabs brought the Nestorians some relief from the chronic and occasionally severe persecutions from which they had suffered under the Zoroastrian Sas-sanids. To be sure, they were required to pay a special head tax, as were other Christians in Moslem realms. From time to time, especially during wars with the Byzantine Empire, church buildings of Nestorians as well as of other Christians were destroyed, particularly those which had been erected contrary to the laws which forbade fresh construction. Yet many Nestorians were employed by the Arabs and were given high places in the Arab court. Some Christians were exempted from the head tax. 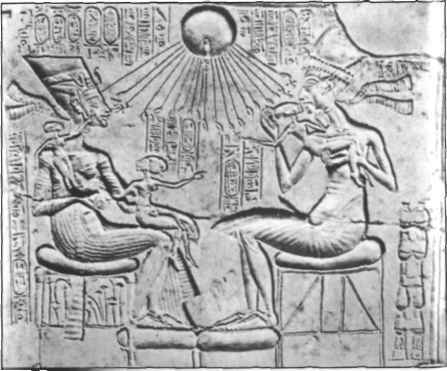 During the first few generations of Arab rule, before the new masters had acquired the arts of the high civilization in which they had settled, the Nestorians provided accountants for the government, and physicians, astrologers, and philosophers for the realm. Nestorians were prominent as bankers and merchants. As we have more than once noted, it was Christians who first translated into Arabic some of the works of the ancient Greek philosophers. Much that the Christians of Western Europe were later to learn from the Moslem Arabs had first been taught the latter by Nestorians. The Nestorians engaged in extensive missionary activity. In spite of prohibitory laws they won numbers of converts from the Persian Zoroastrians, more than they were later to gain from the Moslem Arabs. South and East of the Caspian, in Central Asia, they had many communities and missionaries. There were Nestorian churches and bishops and even metropolitans in some of the caravan cities of Central Asia, among them Merv, Herat, and Samarqand. Before the Arab conquests Christianity seems to have spread widely among the non-Christian peoples of this area, notably among the Turks and the Hephthalite Huns. Until the coming of Islam its chief rival in Central Asia appears to have been Manichsism. After the military advances of the Arabs, Islam became the major competitor, but the issue of the contest between the Cross and the Crescent was not decided until well after 950, when, as we are to sec, the Cross lost. Nestorian Christianity was planted in India. Our knowledge of how and when that was done is tantalizingly fragmentary. We know that there were Christians in India before the rise of the distinctive Nestorian beliefs and that these may have come through commercial contacts with the Christians of Mesopotamia, Syria, and Egypt. As we have said, tradition even ascribes the first Christian preaching to the Apostle Thomas. In the thirteenth and fourteenth centuries travellers from Western Europe found well established Christian communities on the coasts of South India and Ceylon. The more detailed reports of Western Europeans of the sixteenth century make it clear that the ecclesiastical language of these communities was Syriac, indicating that they had been nourished and perhaps planted by Syriac-using peoples, and their church connexion was with the Nes-torians of Mesopotamia. Inscriptions concerning Christians found in South India dating from the seventh into the ninth century are in Pahlavi, or Middle Persian. All of this seems to point to the growth and perhaps the introduction of Christianity in India through contacts, from the sixth century onward, with the Christians, primarily Nestorians, of Persia, Mesopotamia, and Syria. From what we know of the history of trade, it is natural to assume that the contacts were made largely through commerce, for the Christian communities were on or near the coast and in or near cities and from as far back as pre-Christian times there had been maritime trade between India and the lands to the west. The Nes-torian communities in India, however, seem not to have been primarily the descendants of immigrants, but to have been of Indian stocks. This would appear to point either to extensive intermarriage of Christian immigrants with indigenous peoples or to active missions as their source, probably in association with the Christian mercantile communities. It was through Nestorians that Christianity was introduced to China. The year of the first known coming of Christianity to that vast land was 635. At that time the T'ang dynasty had recently risen to power and T'ai Tsung, the ablest monarch of that line, was on the throne. China was entering on one of the glorious epochs of its history and for two centuries or more was the most powerful and perhaps the wealthiest realm on the planet, rivalled only by the Arab Empire, and that did not long remain as united as did China. The first missionary, A-lo-pen, came to the capital, Ch'ang-an, the present Hsianfu. Ch'ang-an, possibly the largest city in the world of that day, attracted representatives of many races and faiths. T'ai Tsung is said to have given A-lo-pen a cordial welcome and, after he had examined translations of the books which the latter brought with him, to have ordered the preaching of their contents. He may have done this because he was fairly tolerant of all religions. In succeeding years Christian monasteries were founded in several centres, Christian literature in Chinese was produced, and a metropolitanate was created for China. Some converts were won, but the core of the Christian communities, and perhaps their membership was predominantly foreign. Buddhism, then in its heyday in China, Taoism, and a reviving Confucianism were the prevailing religious systems of the Empire. Christians were a very small minority, perhaps not as numerous as Moslems, Manich^ans, or Zoroastrians. Late in the ninth century there were still Christians in China, but an imperial edict of 845 which was directed primarily against the Buddhists and which also included Christians in its proscription seems to have brought a sharp reduction in the numbers of the latter. The disorders which accompanied the end of the T'ang dynasty late in the ninth and early in the tenth century may have contributed to a further decline. Monks sent in 980 to put the Church in order could find no traces of Christians in the land.